Seniors deserve to live a quality life in their community! Viola’s Managing Group, Inc. offers community integration services for seniors where they are able to volunteer or participate in any activities in the community. 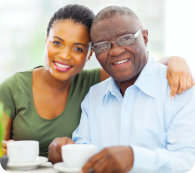 This is for the purpose of helping them live a fulfilling and independent life as possible. We strongly believe that seniors can still make a difference in the society regardless of their condition. For more information about our community integration service, you can talk to one of our trusted representatives at 724-318-8125 for further details.